Boho retro rattan, vintage dark metal, minimal scandi cool, relaxed day beds, playful bunk beds... the options for kids rooms these days are endless! Finding the right bed for your little one can be quite hard work, especially finding something that looks good and isn't too pricey. So I've pulled together a little edit of my top stylish bed finds for your little ones, across a range of budgets. Remember you can always paint a plain bed to pimp it up, even in chalk paint to make it more fun. Decent bedding and cushions will also help make a bed look more inviting and a special place to snuggle into to so make some effort to create an area of escape and interest in your little ones space. Beds are really the centre piece to the room so it's worth researching one that will work well in the space you have. 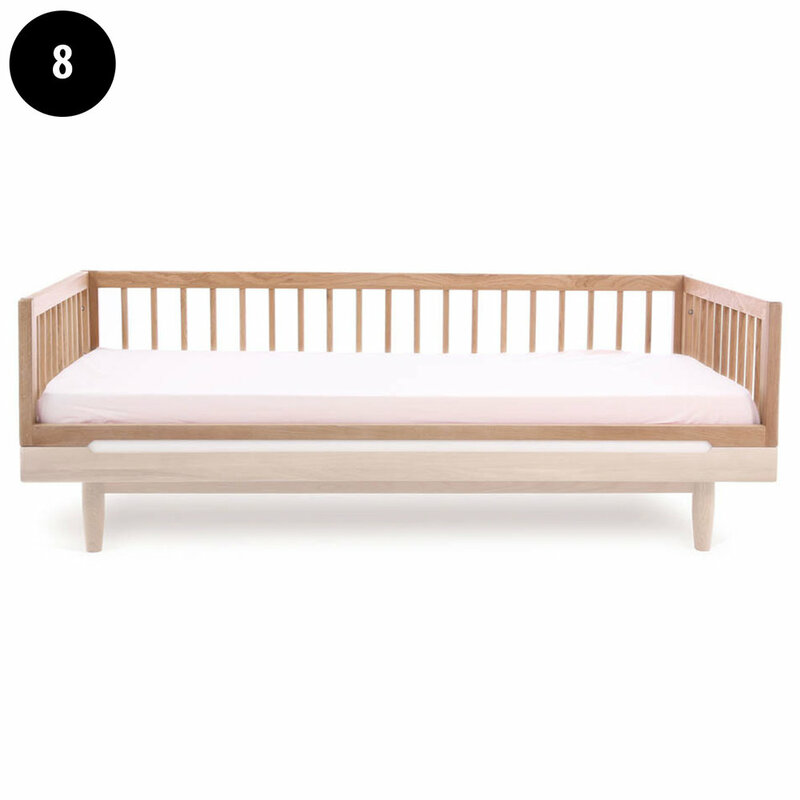 Violet has the Rafa toddler bed from Olive Loves Alfie in her room which is playful and practical. The sides really help her feel safe and contained still after moving out of her cot. Finn has the Kura bunkbed from Ikea which has a little den underneath it and I'm sure will be used for sleepovers when we eventually get to that stage. Comes in Junior or Single bed options. Love the idea of decorating and personalising this! Love this retro feel and go check out Wonder & Rah to see it in her daughters room! For a romantic vintage chic look, so pretty! Loads of space underneath for den making, this is my dream kids bed! It has a slide -what more could you want?! Really good value for money and fun. As spotted on Little Spree recently this is one stylish bunk bed and who would've thought it was from a Supermarket! Extendable so you can pull it out as your kid grows. really good value for money. Also comes in white.